Waltham High School senior, Sebastien Paul, blew away the judges and audience of Waltham Idol with the performance of his original song, “Learn to Fish.” Waltham Idol is the Waltham Boys & Girls Club’s annual singing competition for youth ages 12 to 18, which attracts the area’s top talent. Since the competition’s inception 3 years ago, Sebastien is the first Club member to win the Waltham Idol title. 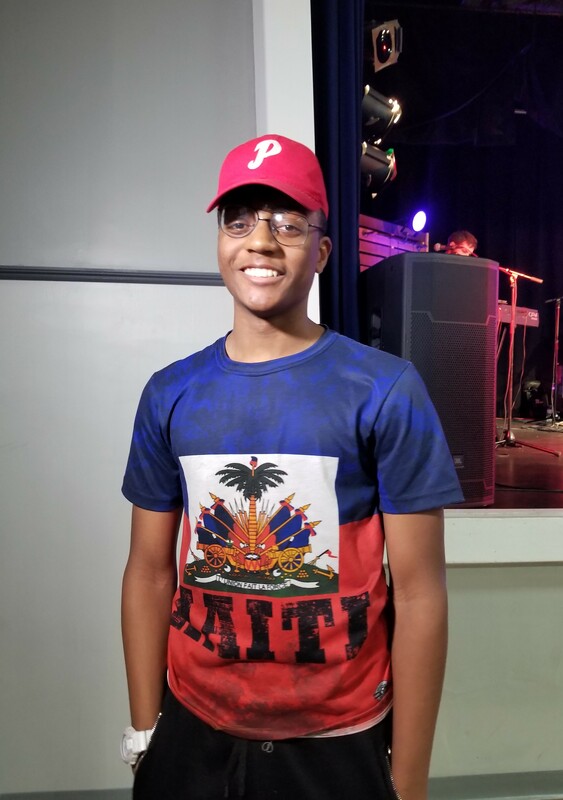 Sebastien first came to the Club in grade 4th after his family moved to the U.S. following the earthquake in Haiti. “I really liked the vibe and the daily activities,” he said. Today, Sebastien shines both on the court and on stage. He plays on the Club’s PAL basketball team and enjoys spending time in the Club’s music studio, where “Learn to Fish” became a reality with help from Music Director, Adam Sickler. Sebastien gave us a glimpse into what it was like to perform in front of hundreds of people. “It was terrifying. I also perform in show choir, but this was completely different. In choir, you are on a stage full of friends. Here I was on the spot.” Despite feeling nervous, Sebastien’s practice and hard work paid off as he took the stage by storm with confidence and poured his heart into the performance. All of us at the Club are so proud to see Sebastien grow as an artist and into a driven young man. He will start college in the fall at Wentworth University, where he plans is to study engineering. His dream is to someday build his own house. He also aspires to continue his work in music, which we are eager to follow and dance along to.